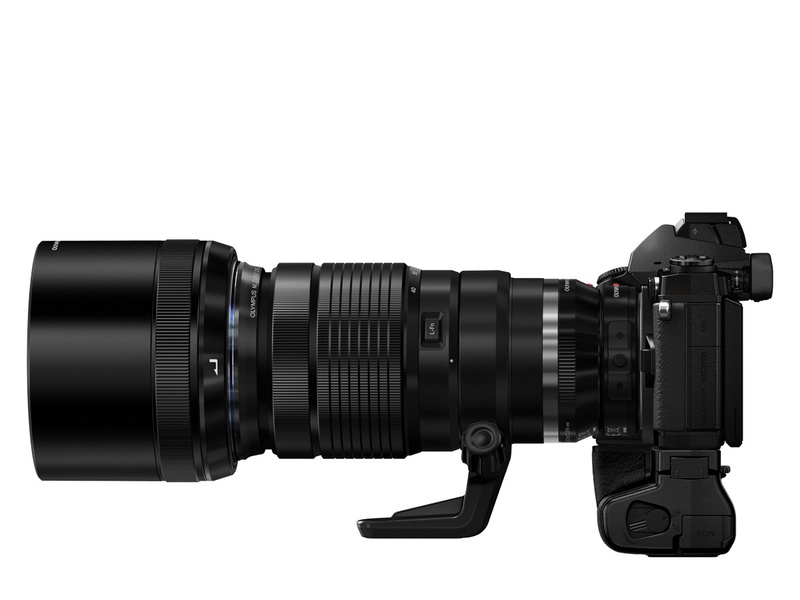 One year ago we got the chance to see a pre-production version of the M.Zuiko ED Digital 40-150mm f/2.8 PRO lens. It wasn’t a working prototype and couldn’t be mounted to the camera but we got a nice look at its size. 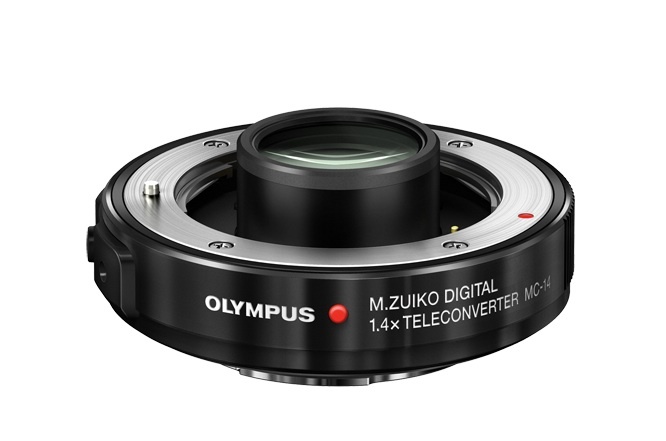 Since then we’ve been eagerly awaiting the announcement of this lens because, given the amazing quality of Olympus’s first M.Zuiko PRO lens, the 12-40mm, we knew that the 40-150mm would match the image quality and have some great professional features. Like the 12-40mm, the new 40-150mm is dust, splash and freezeproof. It has a very strong metal build. There is an Fn button on the side that can be assigned to various functions as with the Fn buttons on the E-M1. The focus ring can be shifted up and down to switch quickly between autofocus and manual focus. The included lens hood can slide back and forth (like the 60mm macro’s hood). The lens offers a focal length of 40-150mm which corresponds to an 80-300mm on 35mm format (full frame). Now before starting to complain about the size of the lens, as it is certainly considerable in comparison to other MFT zoom lenses, it is important to understand that the lens has a f/2.8 constant zoom aperture and covers a very vast focal length. 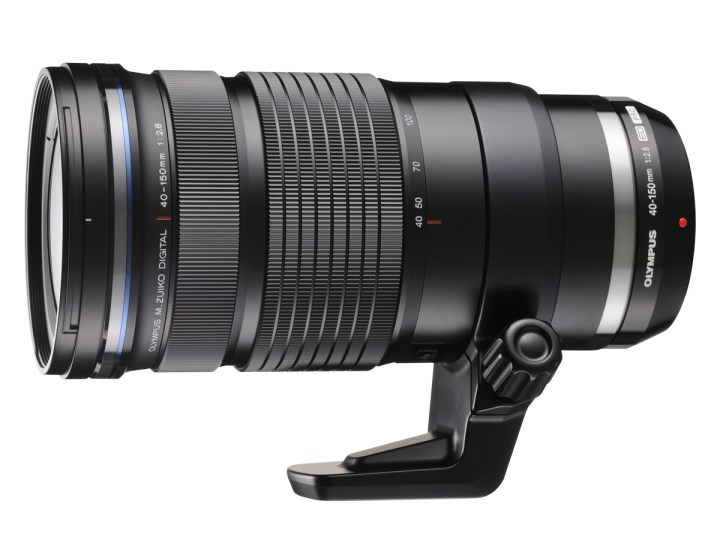 A good comparison could be the Sigma 100-300mm f/2.8, which is a very big lens for DSLRs. 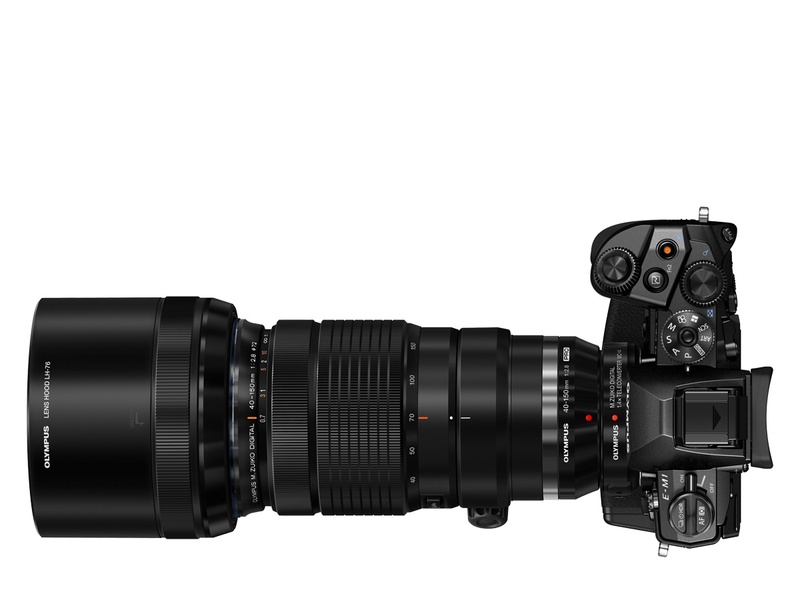 Of course I will wait until I can try it myself and see how big and heavy it is, but considering its main specifications, the lens might be the biggest in the MFT system but still small and compact considering what it can do and what the DSLR equivalent would be. On the inside, the optical elements are made of 5 ED (Extra Low Dispersion) elements, one super ED lens, one EDA (extra low dispersion aspherical) lens and one HR (high refractive index and dispersion) lens. The lens also has a new focusing system with two dual linear motors. This makes the lens really fast and silent to focus. Another interesting aspect is the minimum focus distance of 70cm throughout the entire zoom range. 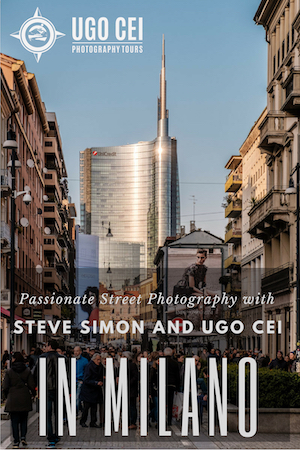 I already praised the close focusing capabilities of the 12-40 and this new PRO lens seem to have the same capabilities (in proportion to its focal length) and that should make it a very versatile lens for sports events, weddings and portraits. 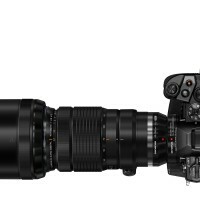 Another interesting release is the new 1.4x teleconverter that extends the focal length range from 80-300mm to 96-420mm (full frame equivalent). The new teleconverter is made of metal and is dust, splash and freeze proof as well. Its size doesn’t surpass 15mm in thickness which is another great feature. 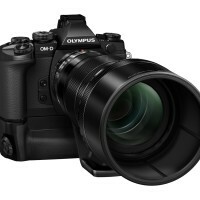 Olympus also announced a new filter designed especially for the 40-150mm f/2.8 that includes ZERO coating (which reduces ghosting and flaring) as well as an anti-reflective, alumite-coated black matte barrel. There will also be a filter designed for the 12-40mm. The lens weights 880g with the tripod adapter and 760g without. 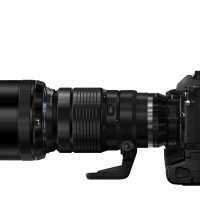 It will cost €1399 or €1599 with the 1.4x teleconverter included (alone the latter will cost 349€). Both will be available in early November. Vintage and Partial colour have been added to art filter. Exposure compensation (3 EV) is now available in HDR 1/HDR2 shooting. When the arrow pad is set to Direct function, the Underwater wide/Underwater macro functions can be used with the left and down button on the arrow pad. A function was added so that shooting information recorded in HDR1/HDR2 can be viewed in the playback screen. It is suggested that you update your OI.Share app to version 2.4 to ensure that all functions work seamlessly. Also keep in mind that when the firmware is updated to version 2.0, all settings other than AF Focus adjustments will be reset. We can expect to see the download link posted sometime on September 16th 2014. 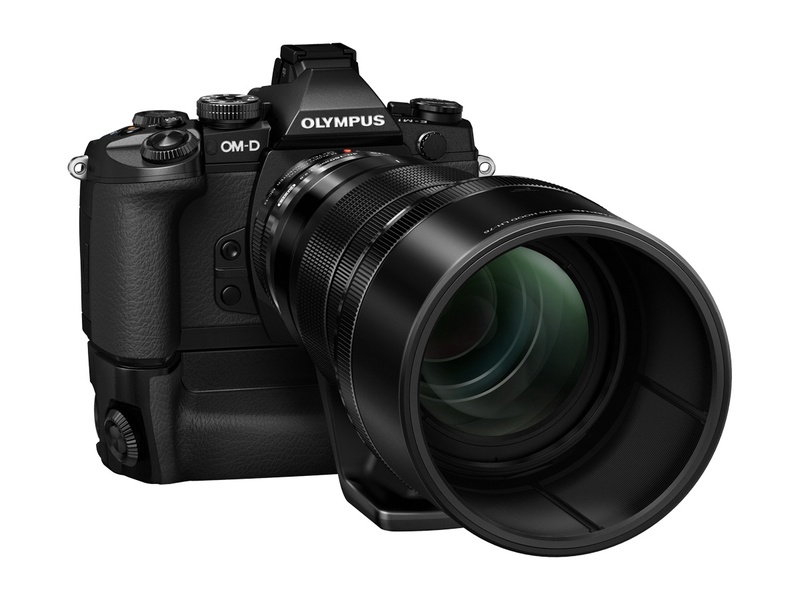 Finally, Olympus has announced a silver version of the E-M1. 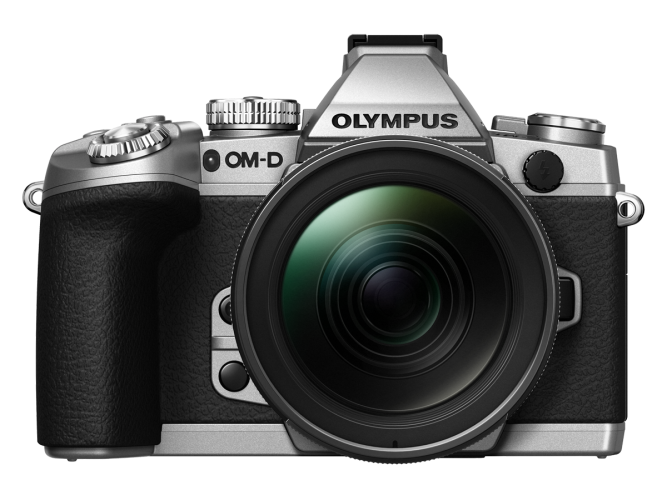 When the E-M5 came out, many photographers appreciated being able to choose between the black and silver version, so it was only logical that Olympus would eventually release this new version of their flagship camera. 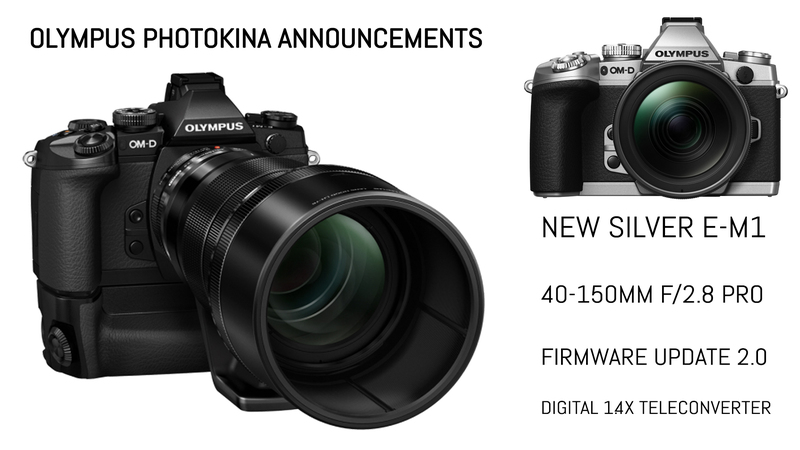 The silver version will already include the many features found in the most recent firmware update for the black E-M1.